While chili purists will insist that the spicy stew be made with finely chopped beef, turkey is a leaner option that can be equally delicious. 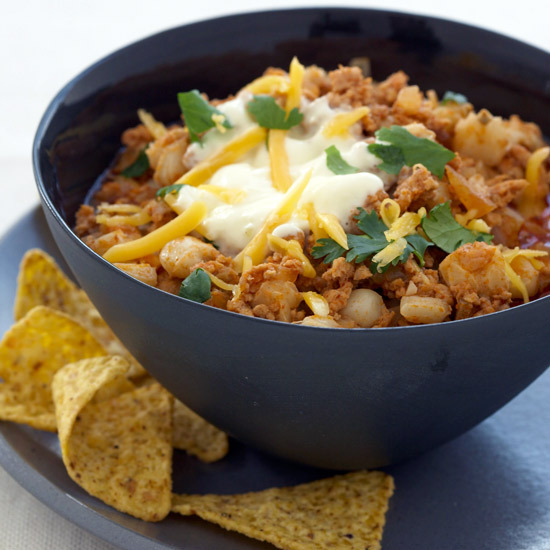 Here, seven turkey chili recipes so good, they'll make converts out of the most stubborn beef devotees. 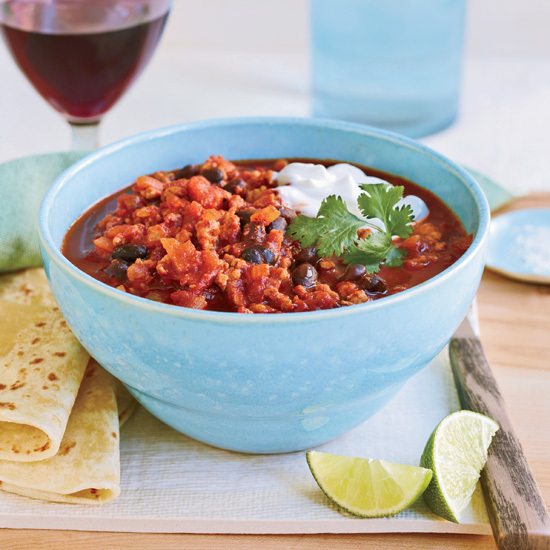 This tomatoey chili is light in calories but full of flavor. Cumin, chile powder and chipotle powder give this thick soup a kick. 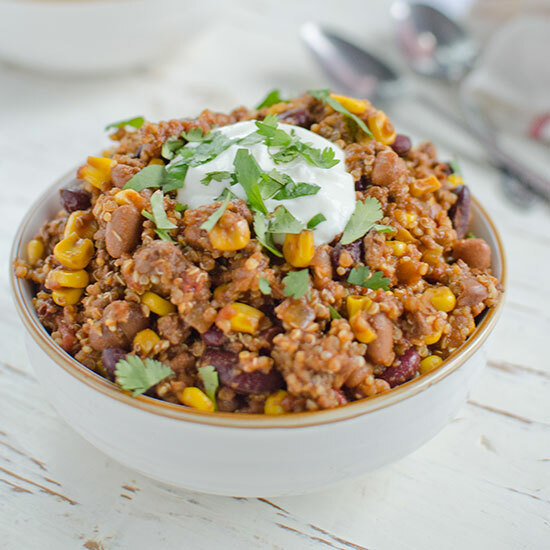 Adding healthy quinoa to chili makes it extra hearty and filling. 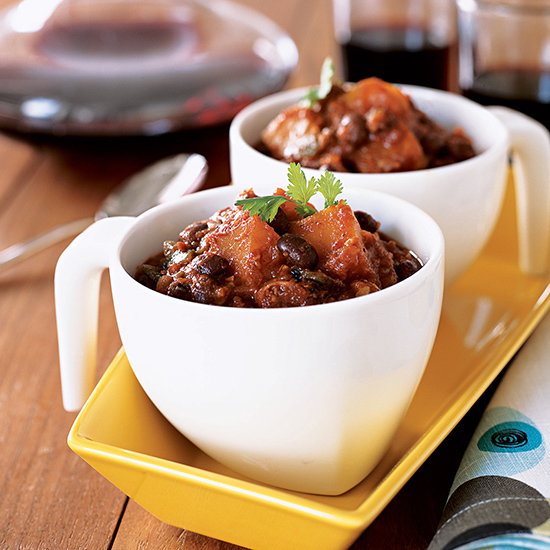 This fall-perfect chili is made with shredded turkey leg meat and butternut squash. 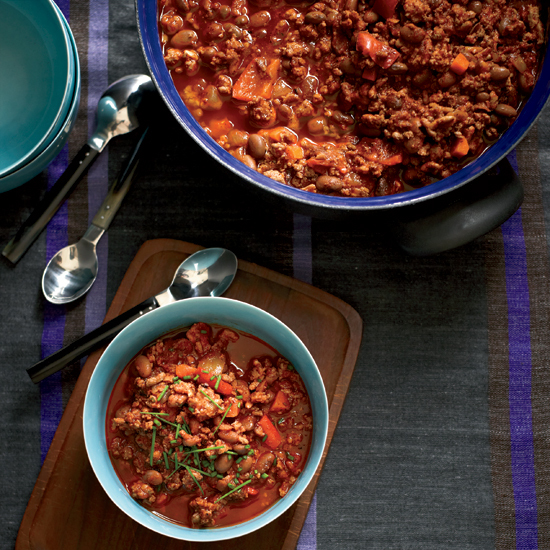 Unsweetened cocoa powder, ancho chile powder and cumin give this thick, rich chili deep flavor. Creamy chickpeas give this stew fantastic texture and make it extra filling.